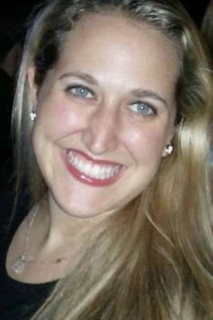 After graduating Yeshiva University’s Sy Syms School of Business, Los Angeles native Sharona Motkin ’08SB began working at Goldman Sachs, having accepted a full-time position as a financial analyst after a coveted yearlong internship. Three years into the job, Motkin realized her passions lay elsewhere, and she left Goldman and returned home to California to explore those passions and actualize them. In May 2012, she founded her own non-profit organization, Generous Spoonfuls. The organization is dedicated to providing innovative and therapeutic culinary programming and activities to the elderly, the sick, and individuals with special needs as a means to engage and heal through the culinary arts. So how does a former accounting major and financial analyst choose a culinary-based pursuit? Motkin founded Generous Spoonfuls while she was a student at The Academy of Culinary Education, where she had enrolled upon her return to California. Her classmates were so impressed with her goal of helping people through cooking that they decided to raise money and awareness for Generous Spoonfuls as part of their final class project this past February, which was to prepare and host a multi-course graduation dinner. It should come as no surprise that Motkin took such a proactive step in creating a company; even as a student at Syms, she held numerous leadership roles such as director and producer of the Dramatics Society; co-chair of Orientation; and resident advisor. She also formed close relationships with Zelda Braun, the former Associate Dean of Students, and Professor Robert Greenberg, Clinical Associate Professor of Business Law. A typical workday for Motkin, who also counts fundraiser, relationship manager, business liaison, and program manager among her titles at the organization, includes a lot of paperwork, meetings, fundraising activities and coordinating upcoming therapy sessions that she runs with various organizations. Some organizations with whom Motkin has partnered include the Jewish Home for the Aging; New Horizons, an organization to empower people with disabilities; and Children’s Hospital Los Angeles. Though Generous Spoonfuls is still a new organization, Motkin’s success has not gone unnoticed. She was recently selected as a fellow by the Jewish Federation’s PresenTense Fellowship for social entrepreneurs. The fellowship guides social entrepreneurs to develop their leadership skills, business tools and connections to engage and inspire the LA Jewish community. In ten years, Motkin hopes to see Generous Spoonfuls providing services nationwide. Those interested in helping fund the organization can do so at www.generousspoonfuls.org.